Hi creative friends! 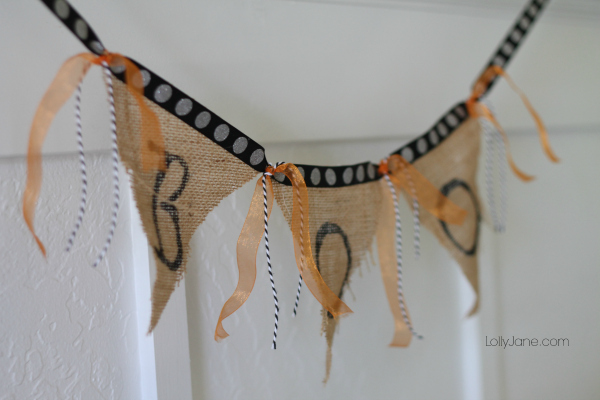 Today we’re sharing how to make a really easy BOO burlap bunting, a great addition to your Halloween mantel! All you need is a few supplies, a glue gun and some stencils. We love this bunting because you can hang it across your door, on a table, from your mantle– plus it’s a quick gift for a neighbor or a teacher if you’re into holiday giving. Read on for this simple tutorial, hope you love it. 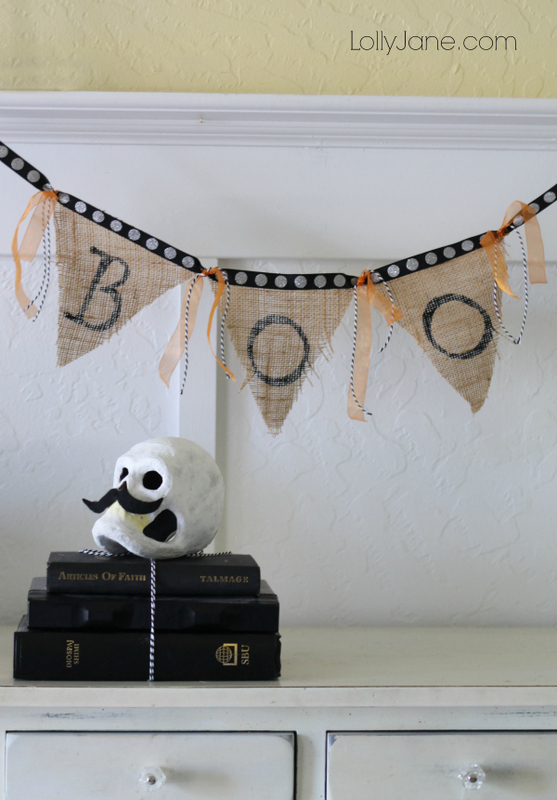 We especially love the fun ribbon & twine that adds a little more! Cut 3 burlap strips into 4″ x 3″ triangles. Hot glue polka dot ribbon to the top of the burlap triangle. Tie orange ribbon & twine into knots, in 12″ strips. Using a stencil, paint inside of letters onto burlap. So very easy! You can do THANKS for Thanksgiving, JOY for Christmas, etc. Endless possibilities with burlap and ribbon! 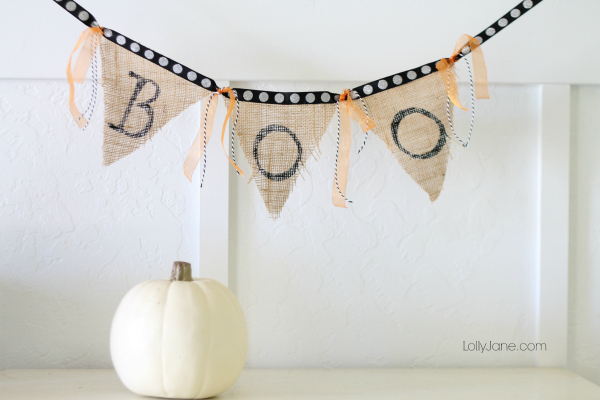 Visit all of our Creative Home posts as well as all of our Halloween ideas on Lolly Jane and happy crafting!